Can I ask you about this site in particular, we know so much of the work that is ahead for us here bringing in the wisdom of the stone beings and having the space here by placing them in their circle for other people to come and share their wisdom. Can you comment on anything else about the site? Any guidance on any other work that we might be doing here, or speak about the question of moving to another place which has been brought up recently. This my sister is a multi- faceted question. I will start with the first part of this multi-faceted question, about the grid works and holy sites. You are very well aware that this site is an ancient site, that upon this site there are energies of wisdom, energies of Love and transformation. 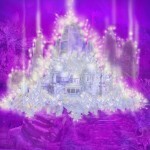 It is true that this site extends beyond Lemurian times, into Atlantis and into the now. There has been a mystery school upon this site for eons. This site has been visited by extra-terrestrials from all quarters of your universe and from the multi-verses, the multi-dimensional universes and is still visited by such beings. Your guidance on reactivating this site and restoring it to its former glory, in relationship for now, is very solid and true. The building of this stone circle with these stones which have been removed from another holy site is a marvellous and wonderful project. We ask you to stay focussed with it, because we are behind it. I Melchizedek state that I am behind it, behind the project. 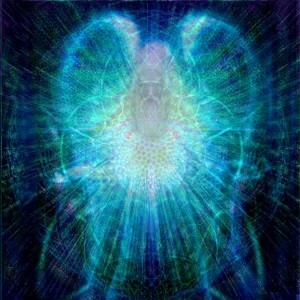 I am putting energy into it to manifest it, for know that this place will again become a temple of light and Love. I know that you may feel that it already is, and I am in agreement with that, but this, is as you humans would say is just the start of it. This site will again become a place where Melchizedeks will gather in Light. A place where beings who want to become Melchizedeks will gather. They may be initiated, anointed, trained and sent on their way to do their share of the breaking down of structure, the breaking down of the constraints of consciousness which is still in many places up on this planet, the goddess Gaia. So yes rebuild the circle. This project upon which you are working is very, very admirable. This dissemination through these electronic mediums you beings call the Internet. We congratulate you on your focus, on your dedication. We congratulate you and thank you for your work. So build the circle. Activate and initiate the circle. And invite others to gather here for the training that will take them into wholeness. Wholeness is Love. Love is freedom. And I would say to you at this time, this is the last part of your question, to just for now put aside the idea that you will move and go. Ultimately you will be required to move, because your and when I say your I mean this partnership which has taken place here, your efforts will be required elsewhere. But for this time put aside the ideas that you must go, integrate into your minds that you are building, you are opening the door, of the opportunity to move into wholeness for many others, for you have the energy to do this, you have the focus to do this. And what is more you have the abilities to do this. So let us look at one project at once. Let us not start thinking about what the next temple of light project is for you two beings, and any others who decide to become involved with you, and give, lend or exchange their energies here on this site. Just focus on activating this temple and restoring it to its former glory of Love. And the next project will unfold, it will not be quick, in the terms of Earth time. Of course out of infinity I could blink my eye and the time would be there, the time would be right. It has been my pleasure to be with you. Verily it is an honour. I leave you in Love, I leave you in light goodbye.